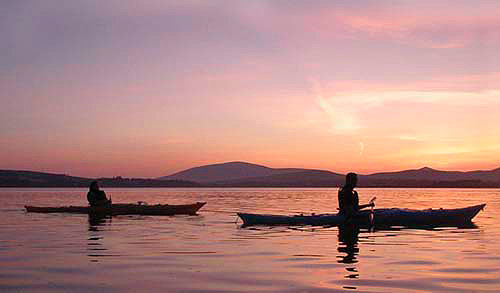 The rivers, lakes and coastline of Kerry offer lots of opportunities for kayaking. There are several operators that offer organised trips. Because of the threat of the Zebra Mussel, please put your kayaks through a car wash before using them on local rivers and lakes. A special permit is required to use your own kayaks on the Killarney lakes. This permit is available at the Killarney National Park Wildlife Rangers base, near the main entrance to Muckross House on the N71.